Like a lot of fans, when I heard the title of this episode, I said “really? 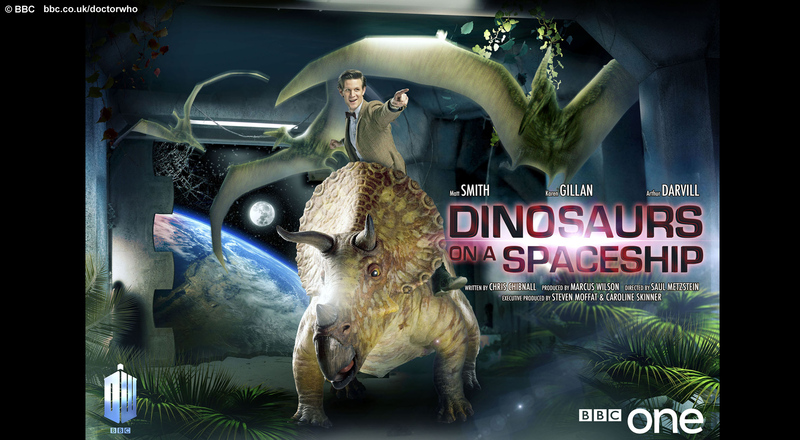 Dinosaurs… on a spaceship? What is it actually called?” but no that was the title, so amid many raised eyebrows this episode bursts forth, and how, within minutes you’ve been whipped through multiple timezones and settings at such a dizzying pace that you feel slightly overwhelmed, but that’s Doctor Who these days, keep up or turn over and watch The X Factor instead. This may read as a criticism but it is not, with an episode this bonkers you need an appropriately bonkers start to hurl you straight in, the madness reflects the chaos that is The Doctor and the whirlwind that is his existence, but anyway on with the episode as The Doctor assembles a motley crew of an Egyptian queen, a big game hunter and the Ponds plus Dad to save a ship full of dinosaurs from being blown up by the Indian Space Agency. This is most definitely a story aimed at the family audience rather than “The Fans” but is that really a bad thing? It’s hard to be cross with an episode that is just this much fun, the humour doesn’t always hit, some of the ‘Carry On’ style jokes will have you groaning but the more subtle joking raised a laugh from me, in particular the lovely touches of the ship being powered by waves from an internal beach and the tantrum throwing useless robots, beautifully voiced by comedy duo Robert Webb and David Mitchell. The tone is also helped along by the guest stars playing it absolutely straight, it would have been easy for them to mug at the camera, falling about and overacting but they’re extremely believable, I particularly enjoyed Amy taking on the role of The Doctor with two ‘companions’ in Nefertiti and Riddell. Our regulars are on excellent form as always with Arthur Darvill really getting his teeth into the comedy aspects, Matt Smith is great, his face is mesmerizing to watch but also subtle, check out his little smirk when he goes unidentified by Solomon’s scanner, however the stand out performance in the episode is that of Mark Williams as Rory’s Dad Brian, I think we may have found a new Wilfred Mott in him, a man obsessed with golf who carries a trowel with him at all times who in the end of the episode just wants to sit quietly with a sandwich and a cup of tea and gaze down at the Earth, wonderful. This is a story which is most reminiscent of episodes like “The Unicorn and The Wasp” and “The Lodger”, an entertaining romp perhaps let down slightly by not having much of a plot to pin it all on to, that being said I enjoyed watching it tremendously and as a slice of Saturday night entertainment it can’t be beat, I’m very much looking forward to watching it over again to pick up the little bits of dialogue I missed. 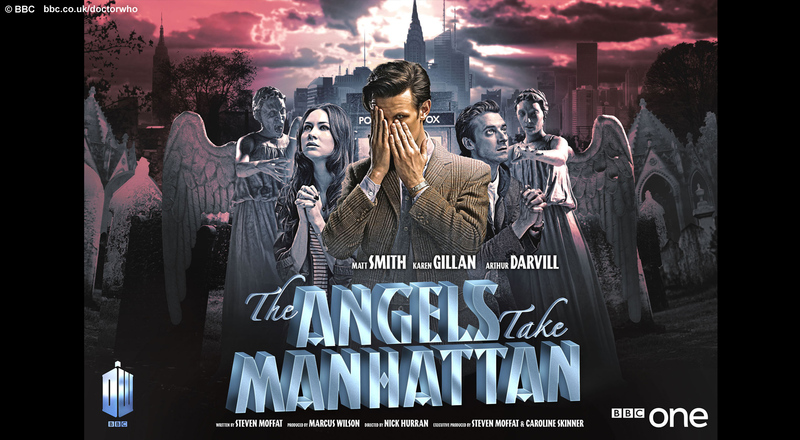 In a series where Moffat promised us a blockbuster every week this episode certainly delivers. I’m beginning to think Steven Moffat might be some sort of evil genius, thank goodness that The Moff has turned his mega mind to writing Doctor Who because if not, he’d have probably hollowed out a volcano and held the world to ransom by now. It’s not often that a sofa full of cynical Doctor Who fans, all of over 20 years standing, are shocked into total silence by what they’ve just seen. We had been lead to believe that we wouldn’t be seeing Jenna-Lousie Coleman, the incoming Doctor Who companion until the Christmas episode but as always we had forgotten the mantra of Matt Smith’s tenure “Moffat Lies”. Companions have gotten out of tight spots before, but it’ll be interesting to see how Coleman’s character, going by the name of Oswin here, manages to get out of being a Dalek, but is she even the woman we think she is? I expect we will find out soon enough but what another marvellous Moff creation, all full of snarky cracks about the Doctor’s chin and throwaway lines about sexual experimentation (“Actually it was Nina – I was going through a phase…”) there’s a deeper vulnerability there too, which makes her eventual fate in this episode genuinely upsetting. Meanwhile back with our regulars Arthur Darvill and Karen Gillan are on top form, delivering scenes of the like we’ve never seen between Doctor Who companions before. They sell the fact that the horrors that Rory and Amy have been through have both torn them apart, and left them inseparable. They’ve both actually needed each other as much all along, and only on the precipice of them splitting once and for all can Amy finally admit that to him. Those complaining about a lack of consequences from last year get something meaty to chew on here as it’s reveled that Amy cannot have any more children, heavy stuff for a Saturday evening. You also get the feeling that having reunited them, Moffat is about to put them through the ringer all over again. Matt Smith was once again brilliant as the Doctor, imbuing him with whimsy but also ancient, suspicious and struggling with guilt, look at his reactions to the Daleks throughout, he hates them not only because of what they do, not only because of what they did to him but also because of what he did to them as a consequence of his actions in the past. I was impressed by everyone’s favourite malevolent pepper pots here, the Asylum is a genuinely unsettling, that the insane Daleks are almost being kept as a exhibition of beauty by the others as well as it being a handy prison, wrapped up in that is the implication that The Dalek’s perversely find The Doctor’s hate beautiful. Having The Daleks forget The Doctor is a wonderful idea, much like the beginning of the series in 2005 where some of the shackles of past continuity were thrown off we get to start all over again with the Daleks, opening up new story possibilities. For me this was very much Moffat’s take on the episode “Dalek” trying to inject tension and pathos back into them. If I have one complaint for this episode its that we didn’t get to see enough of the Daleks, with old models like The Special Weapons Dalek only being glimpsed in the background, it would have been amazing to see them in action again. Mind you the aforementioned sofa full of cynical old git Doctor Who fans were punching the air at the shout outs to past Dalek encounters, the worlds of Spiridon (Planet Of The Daleks), Kembel (Mission To The Unknown) and (The Daleks’ Master Plan) and Exxilon (Death To The Daleks). 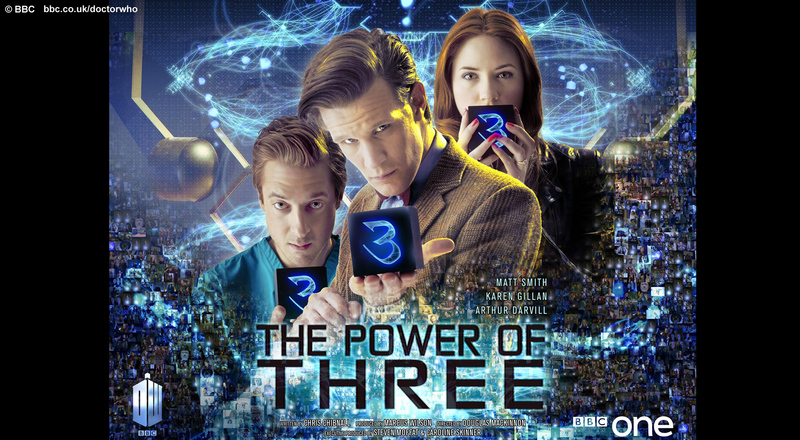 It was an impressive opener, it’s a confident, ambitious, bombastic start to a big series for Doctor Who. It packs a lot in, and you can sense that there’s been a real effort to deliver the kind of one-off weekly blockbuster that we’ve been promised and we have to the Oswin questions. Amy, at one point in the episode, has her mind clouded, and sees people where there are actually Daleks. Has the Doctor fallen prey to that, too? Is that why he can hear Oswin’s voice, rather than the sound of a Dalek? 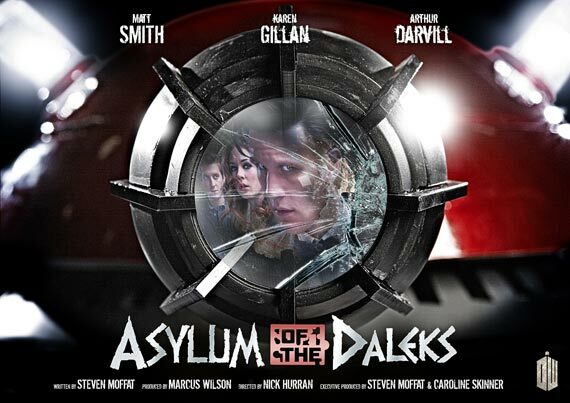 How is she going to get from the inside of a Dalek to the Christmas special? 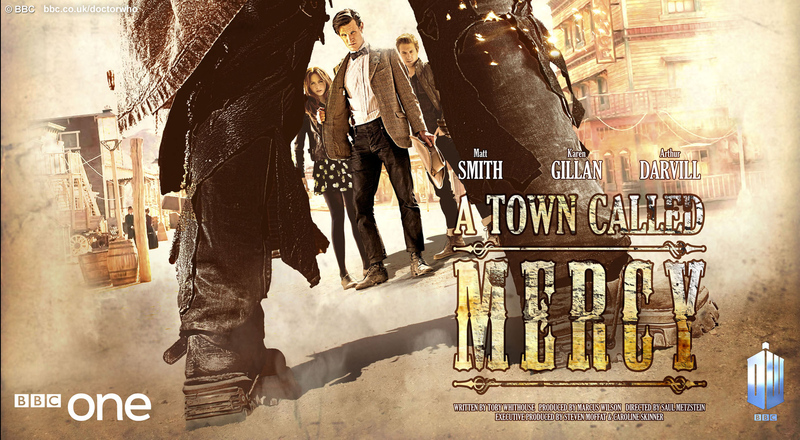 Mister Moffat it’s over to you, and I can’t bloody wait.